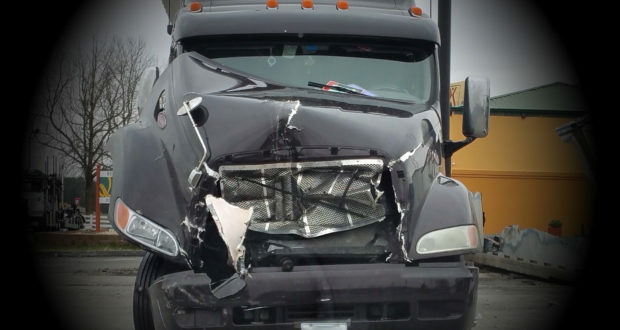 What to do when you get in a trucking accident? Hopefully you will never have to deal with any of this in your entire driving career but it’s always better to be in the know than in the don’t know. We are going to talk about most important aspects and how they affect a driver. Please note there are mandatory regulations and of course, every trucking company has their rules and policies on accident handling. Disclaimer: If you googled and now read this in an emergency situation, please stop reading and dial 911 immediately! a. Quickly evaluate the situation and if it is an emergency call 911 to get help. b. If someone is in immediate danger do everything you can to save lives before anything else. d. Get the police report. g. Get witness contact info. h. Post-accident drug and alcohol screening in case of the fatality, injury, or vehicle tow away. i. Stay calm, concentrate on facts and evidence, do not volunteer to admit your fault. Now I want to discuss issues that I see drivers failing at again and again, and again. Communication. Remember the company you work for is on your side regardless of who’s at fault. Some untold facts can change a minor couple hundred dollars fender bender into the financial disaster for you, your company and insurance provider. The best thing you can do is to answer all questions and provide all details for your company. When dealing with the drivers in the stressful situation, I find them going into offensive mode, avoiding some facts or details. It seems like if they hide something, it will just go away, I wish it were that way, but it will most likely cause more damage than good. The more we know, the more control over the cost of the situation we have. Pictures. One picture can tell more than a thousand words. Take as many as you can, from as many positions as you can, every license plate, every involved vehicle, every spot of damage. Make sure to take pictures from all sides of every vehicle, not just the damaged side, take pictures from further and closer positions as it will help to assess the situation better. Nothing happened. Nothing can turn into something huge and bad very quickly. Don’t let it be only your word against their word; you have a lot to lose. Let me give you one, the real story, example of a poorly handled incident. A long time ago one of our new Owner Operators got into the little fender bender, one of those little scratch “nothing happened” situations. No pictures or anything else, the police report came in two weeks later. According to our driver, he only scraped some paint of the 17-year-old cars front bumper. If we were informed immediately and pictures were taken on the spot it could have been $200-$400 fix. It ended up as $7000 claim. Could have been avoided by 100% communication from driver and pictures taken. If you think $7000 is not worth your time and struggle, let me just tell you that I have dealt with similar situations costing $120,000 and seen one ending up at $1,150,000. One would ask, why do I care, if there is insurance? There is a report called “loss runs ” and if your name comes up next to some of them, big numbers or you have multiple smaller claims, your future in trucking might be ruined.